We took the morning boat to the island of Gili air (only 10 mins away) and loved it instantly. It was so beautiful, paradise! We found some nice bungalows called gili beach bungalows at a great price. The bungalow had an outdoor bathroom which was pretty cool and really different. We had breakfast on the terrace each morning. The island is small and fairly quiet. 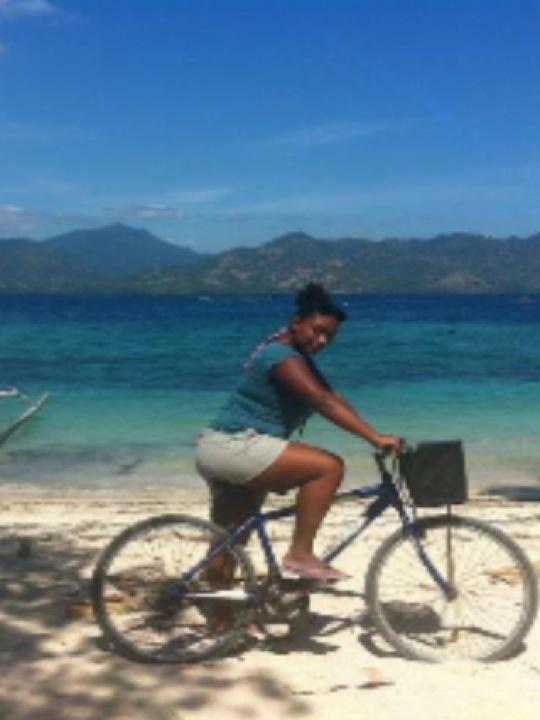 We hired a bike each and rode around the whole island for 2 days. We stopped off at beaches and for food. We found a couple of places we liked for drinks and got to know a few locals. We found a place to stop just before sunset, sat had a cocktail and watched the beautiful sunset it was so nice. We swam a lot on this island, it was really hard and riding the bike was hard work as a lot of it was sand. The last night we had a beautiful BBQ dinner on the beach which was really popular. Then it was time to say bye and head back to Bali.